On July 1, 2015 GCMGA members visited the Alto Jaemor Farm and Market. 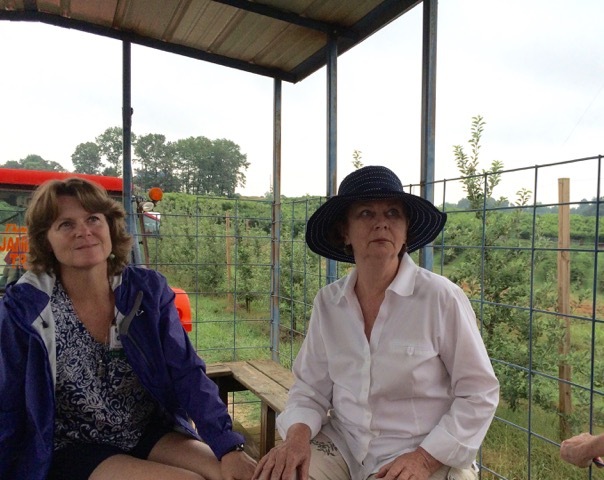 We toured the orchards and fields; picked blackberries; visited the demonstration bee hive; learned about the history of the family that founded the farm and market, and did some shopping. We toured the farm in an open-air bus and nibbled on blackberries between stops. It was a pleasant morning for an outing and the ice cream afterwards was a treat.